Ready to continue with our adventure in Ancient History? This week we’ll set the historical stage for Hannibal’s crossing of the Alps during the Second Punic War and discover nations in conflict. According to legend, in 814 BC a Phoenician princess was exiled from her home city of Tyre and with her followers sailed away to found a new city. That city was Carthage; the name means “new city” in ancient Phoenician. The centuries passed, and republican governed Carthage became of the ruling powers in the Mediterranean, controling 300 cities and a large colonial empire. 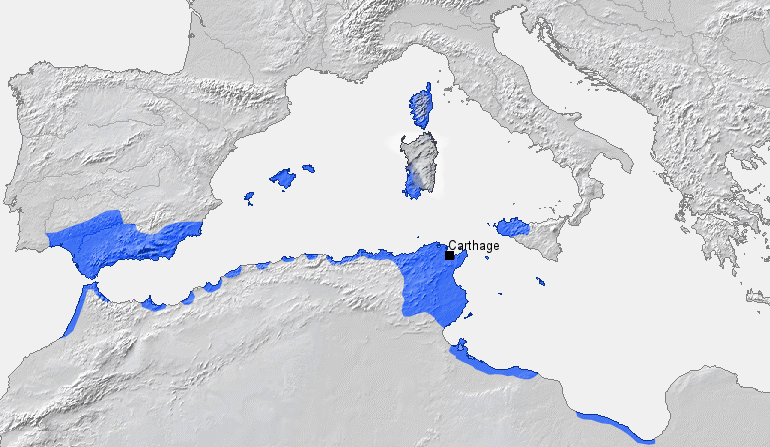 With a strong military, formidable navy, and one of the greatest merchant fleets in the world, Carthage was a prosperous nation. The “city of exiles” had done well. However, the Roman Republic wanted to expand, wanted to control, wanted to have no rivals…and of course Carthage didn’t want to share. The First Punic War was fought between 264-241 BC. Though the date and history of the founding of Rome are sketchy, the beginning of the Roman republic is known. 509 BC: the last king was driven out of the city and the Roman republic was established. By the time of Punic Wars, Rome had established herself as the ruler of the Italian peninsula and was expanding borders and trade, hoping to become the next world power. Internal government was typical of a republic form of government; there were squabbles and disagreements, but Rome was powerful. In the years leading up to the Punic Wars, the republic “upgraded” its army and navy and was ready to start the war for an empire. The Spanish Peninsula is a long way from Carthage (in modern day Tunisa, Africa), especially in the days of wood boats propelled by sail or galley oars. Carthage had colonies in Spain and was fighting native tribes to gain more territory there. The elected general of the territory was in charge of the military forces, and, to some extent, the government of the region. One of these generals was named Hamilcar Barca. Hamilcar had spent the First Punic War fighting the Romans in Sicily and lost, creating a bitter hatred of Rome in the heart of the general. The Barca family was one of the most influential in Carthage, and Hamilcar was determined to restore his honor and the prestige of his city. In 237 BC he took his army to the Spain colony, intending to conquer new territories, rich in natural resources and recruit new soldiers from defeated tribes. He may have planned to strike back at Rome, but he died in 228 BC while fighting tribes in Northern Spain. Hamilcar had a son named: HANNIBAL. When Hannibal was about nine, he went with his father to Spain and spent his youth with the army, treated as a common soldier and learning how to fight and command. After the death of Hamilcar, another Barca ruled Spain for a time, expanding the colony’s borders and establishing a large city; there was also a treaty with Rome stating that Carthaginian forces would not cross the Ebro River, thereby dividing Spain between the feuding powers. 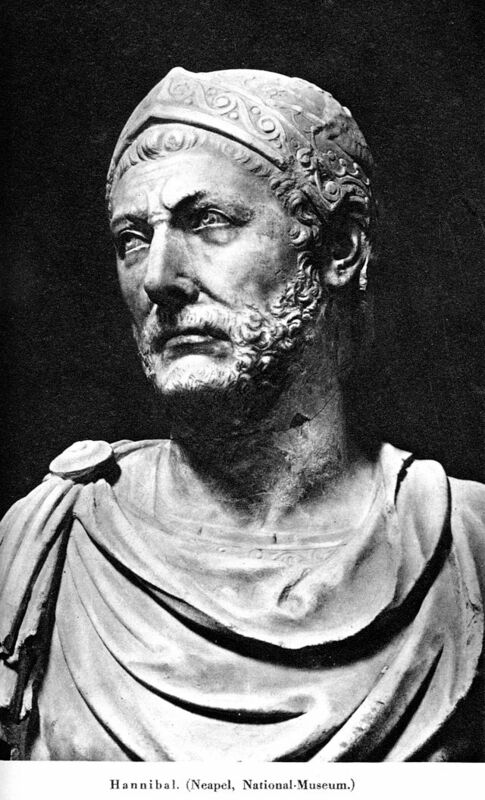 In 221 BC a new commander was needed in Spain and twenty-five year old Hannibal was the Carthaginian Senate’s choice. Popular with his men, the new commanding general prepared to use the leadership skills he had spent the previous sixteen years learning and perfecting. He had a daring plan, the unswerving loyalty of his army, and a hatred of Rome. It was time to plan, to march, to climb, and to fight. One last time the name of Carthage would be feared. One last chance to win immortal fame for the family name of Barca. And Hannibal was ready to take the challenge rising before him. A city founded by exiles would once again attempt to defeat the up-start republic in Italy. P.S. Your thoughts on republics and empires in conflict? Do you see any lessons we could learn from today? Reblogged this on VCESS Classical Studies. Glad you found the Carthage Article helpful! Best of luck to the students of Ancient History.